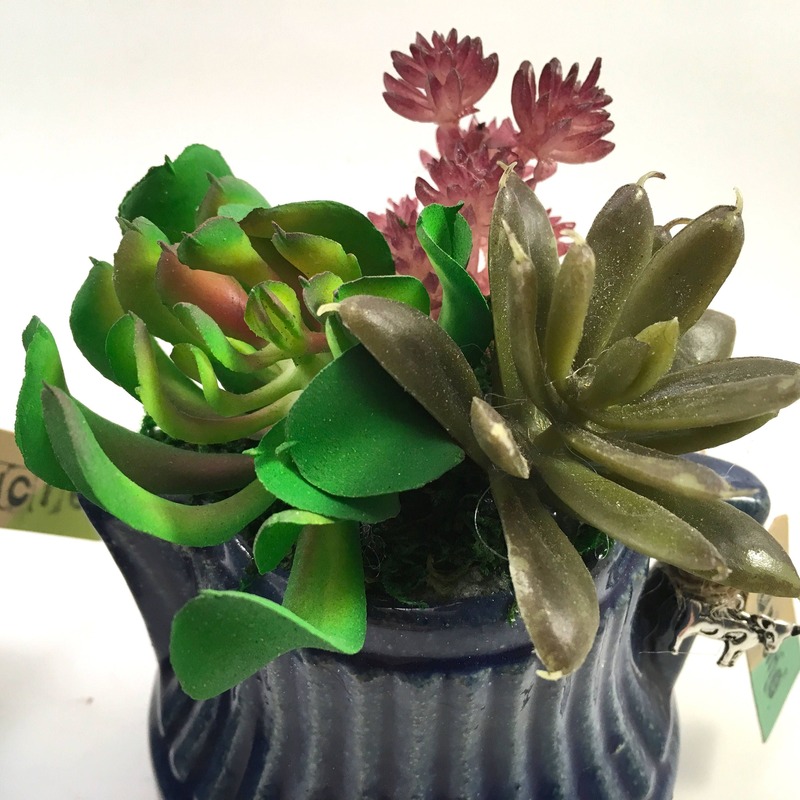 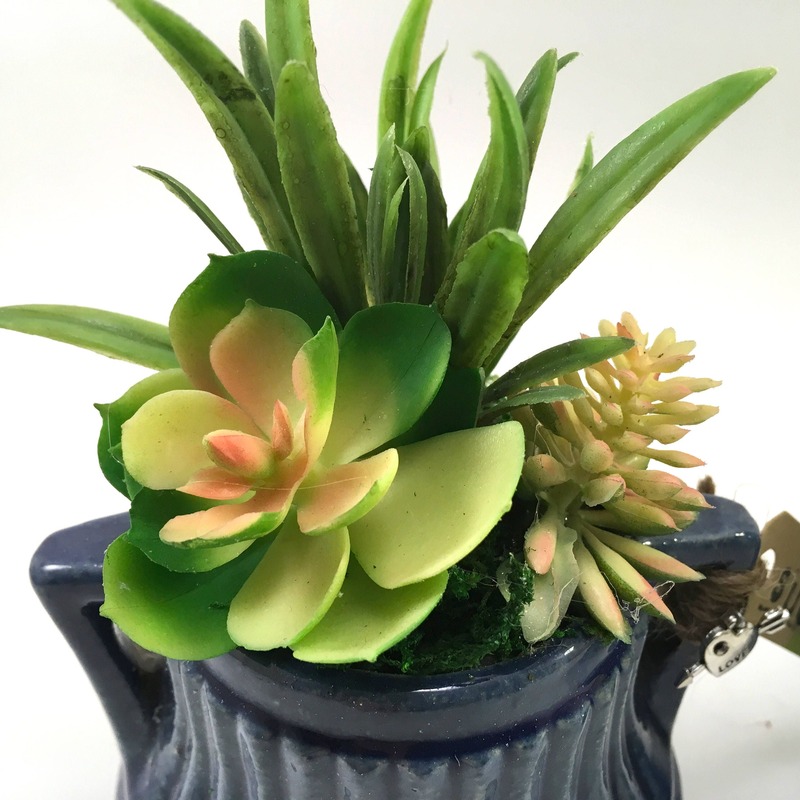 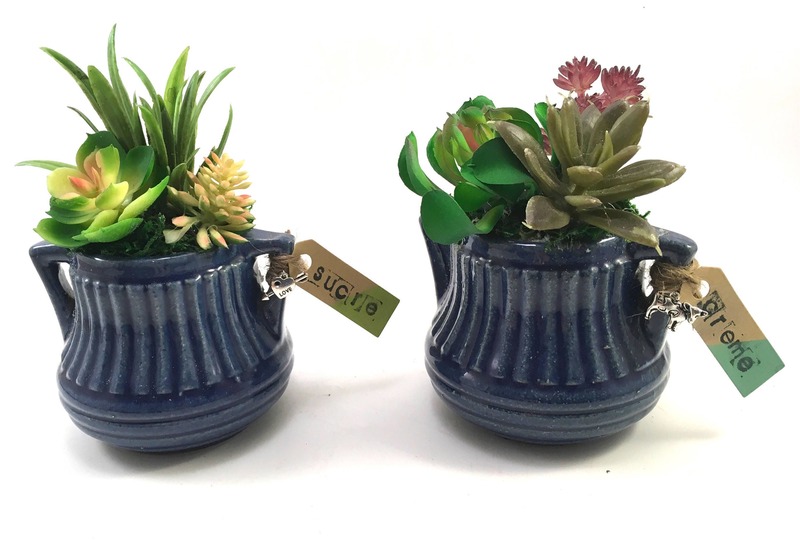 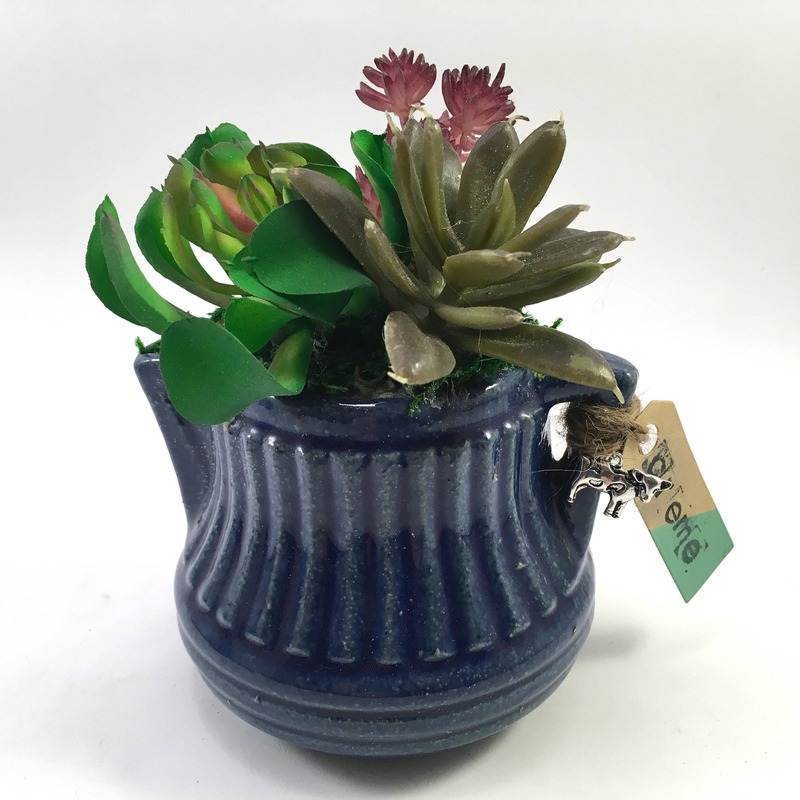 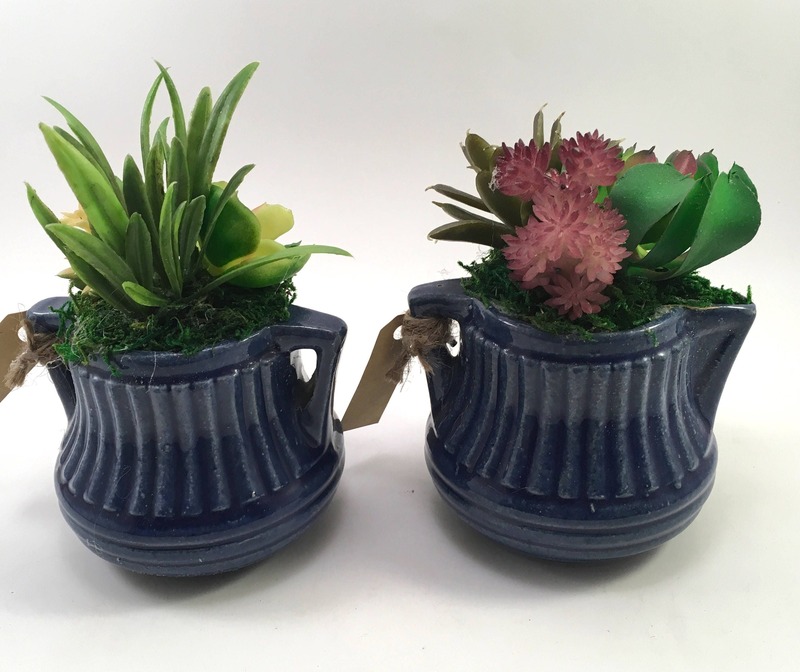 Very cute pair of cream (creme) and sugar (sucre) succulent arrangements. 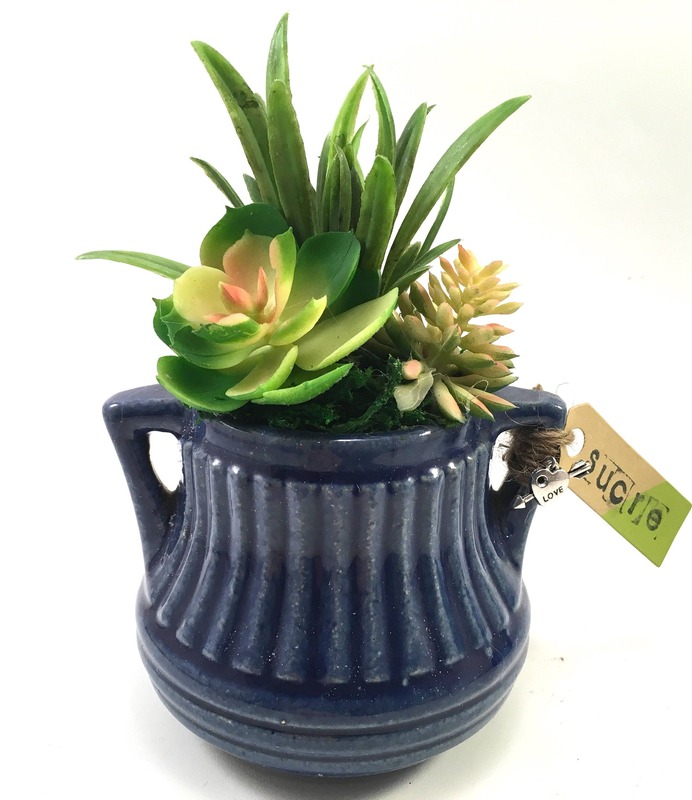 In dark blue ribbed pottery, light plays off the glaze nicely. 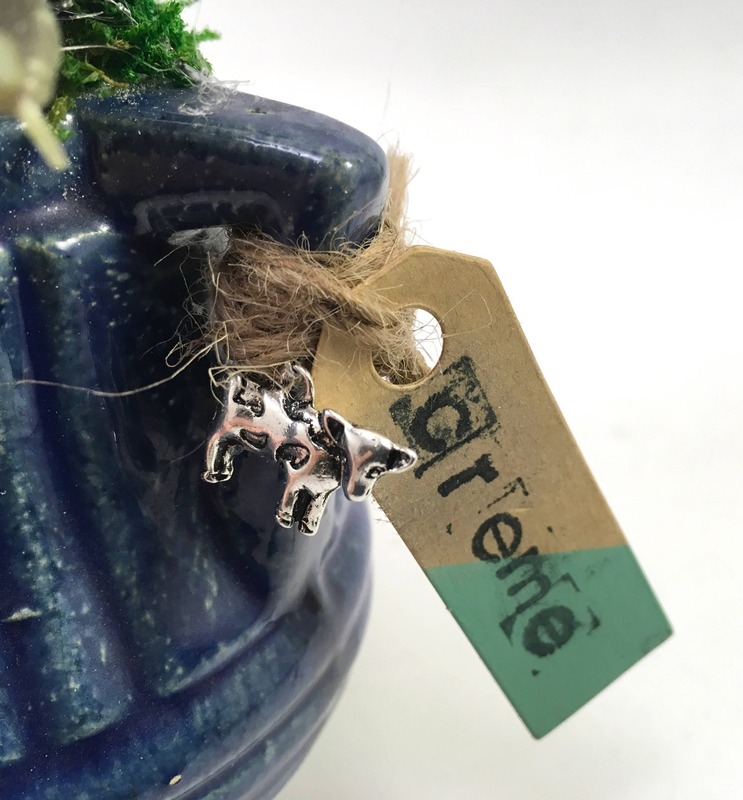 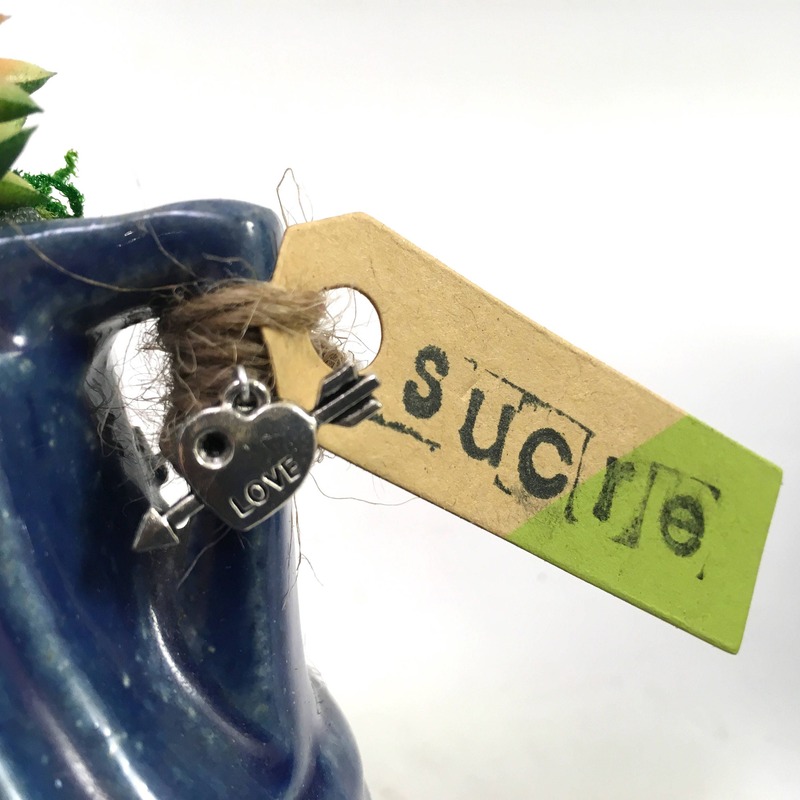 I added hand stamped tags and silver tone charms - a cow for creme and a heart for sugar (because sugar is sweet and so are you). 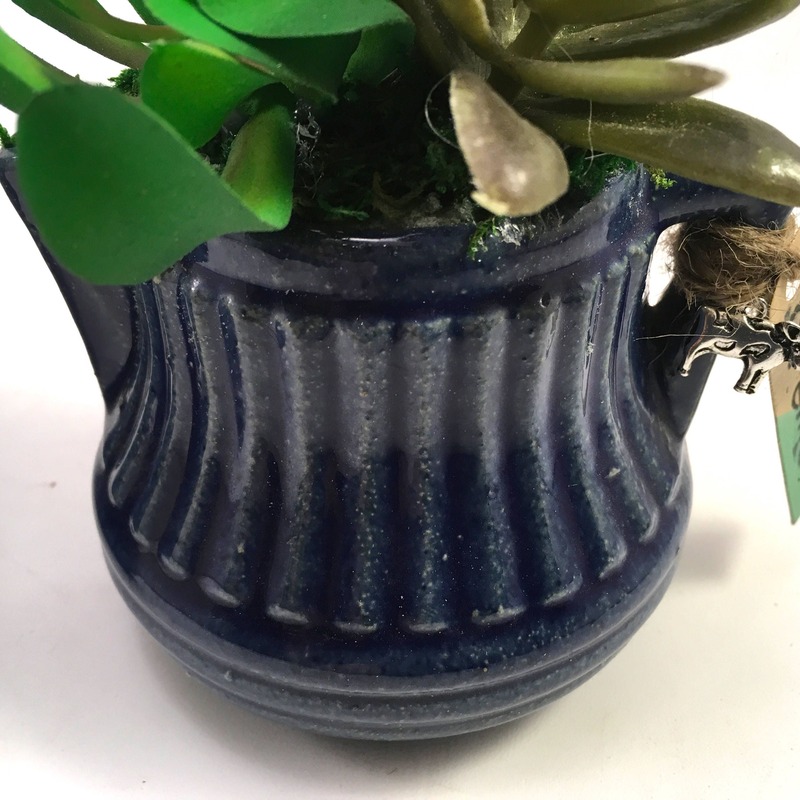 Nice addition to your country farmhouse decor! 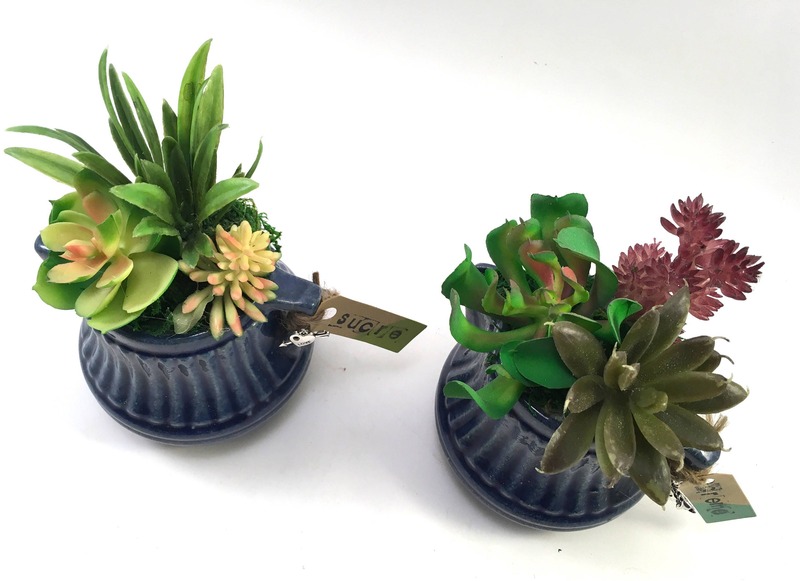 Each contains 3 faux plantings.